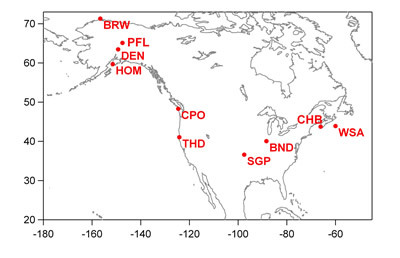 Measurements are made in cooperation with NOAA/ESRL/GMD. Further station information can be found here. 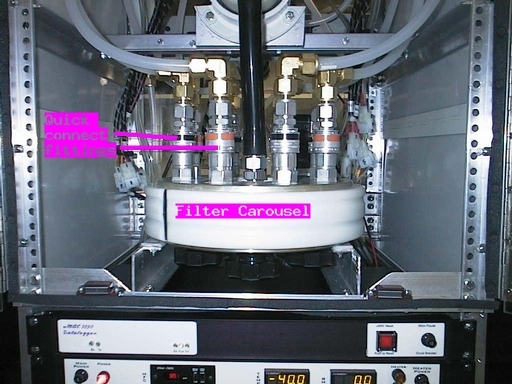 The filter rack consists of a filter carousel with 8 filters. Seven of the filters are operated consecutively over the course of 1 week to obtain daily submicron aerosol samples. The eighth sample serves as a field blank. One supermicron sample is collected per week on an impactor jet plate located upstream of the filter carousel.